David qualified as a solicitor in 1998 after completing his traineeship with Shepherd + Wedderburn in Edinburgh. After qualifying, David worked as a solicitor for five years, before deciding to take an alternative career path as an academic lawyer. Firstly, he worked at the Law School of the University of Dundee, before moving to the School of Law at the University of Edinburgh in 2007. David’s teaching and research interests lie in the fields of Employment, Company, and Commercial law and private law. He has published papers in a number of academic and practitioner journals in these fields, together with a book on the Scots law of commercial agreements and student textbooks on employment law and Scots commercial law. His academic work has been cited with approval by Lords Hope, Wilson, and Sumption in the UK Supreme Court. 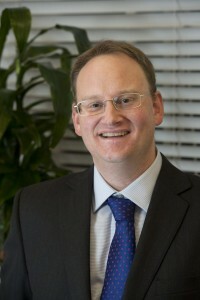 David is a consultant to Brymer Legal.